Rachel is great! Makes you feel comfortable and so easy to talk to. Excited to find a doctor like her tobe my primary care doctor. Rachel is great! Makes you feel comfortable and so easy to talk to. Excited to find a doctor like her to be my primary care doctor. 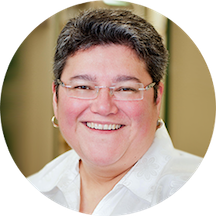 Rachel M. Torrez, MD graduated from the University of Washington School of Medicine in 1998. She completed her post graduate residency at Providence Family Medicine where she was Chief Resident from 2000-2001. Dr. Torrez enjoys the spectrum of family practice, which includes comprehensive care for patients of all ages. Her practice includes care of infants and children, adolescents, adults and the elderly. Dr. Torrez lives in the same community where she practices medicine and finds the experience very rewarding. As good as they come. Friendly, honest and caring. Best general dr in Ballard! Got quick to the point. And got me what i needed. My visit was a complete waste of time. I was not taken seriously whatsoever. I waited 20 minutes to be seen for not even 10. My blood pressure was never taken, no blood work suggested, no referrels made. This was supposedto be a full physical and I was made to feel stupid and told I was probably just "tired". I left in tears- I am in so much pain and she was useless. I will not be going back. Dr. Torrez and her staff are awesome. I've been her patient for about a decade and plan to continue with her forever. The referral information I recieved was inaccurate. The follow up care was degrading. I was in pain, and was treated like a nuisance. It was truly awful. And, I have pretty high patience with these things. Dr. Torrez has been my doctor for over 20 years. I have always had a great experience with the doctor and her staff. Amazing staff and Dr Torrez is the best! Dr. Torrez made me feel very comfortable and answered all my questions in a straightforward, encouraging way. She helped me with referrals that met all my needs. I look forward to Dr. Torrez being my primary care doc for a long time. The staff was friendly as well. Was able to get a next day appointment, and when I walked in she was able to see me right away. She answered all of my questions and was very helpful and down to earth. She is great! I have full trust in DR. TORREZ. Dr. Torrez is a professional, kind, and knowledgeable doctor. She listens well, is always on top of what's latest and greatest, and has an amazing memory (even remembering something that was mentioned at my last visit over a year ago!). What'sgreat about that is you're not just a number or feeling like you're in the cattle call, you are a person and she treats you with respect and warmth. Highly recommend Dr. Torrez to anyone that is looking for a practitioner. Dr. Torrez takes the time to review your history and discuss any issues you've got. Rachel is always a pleasure to see. She never makes me feel uncomfortable no matter what I need to discuss. Her compassion is rare and genuine; she always asks about my life, family and well-being. Her problem solving and recommendations alwayscome with a wealth of reasoning and logic, making sure that I understand and giving me plenty of time to ask questions. I cannot recommend her practice more. Rachel is really great. She was attentive, validating and understanding. I felt really comfortable talking about all sorts of stuff with her. I'm really glad to have found her and look forward to working with her for a long time. She’s knowledgeable and cares about her patients. I'm so glad I took my friends advice to see Dr Torrez. She listened to my issues and I felt comfortable with her. Best Dr I have ever seen hands down. Dr. Torrez is my favorite doctor of all time. Dr. Torrez cares about her patients, remembers my partner's name, gets right to business, and is judgement free. D. Torres was amazing. After relocating to WA I needed to get a prescription for a class C drug. This is typically a horrendous experience due to judgmental and rude doctors. Not so with Dr. Torres. She was caring and understandingand immediately helped me. Thank you for restoring my faith in doctors!! Dr. Torrez is a great doctor. She is professional, funny, and realistic. I highly recommend her to family and friends. Dr. Torrez shamed me for my sexual practices (unrelated to what Iwas there for and still very safe) and dismissed my health concerns and symptoms in favor of lecturing me. Only ran a test at my insistence and had poor followupcare on that result. I will not be going back or recommending her. Sometimes you don't get to see your doctor as a real person. You do with Dr, Torrez. She cares about you as a person too. You're not just a patient with something to treat... she actually tries to get to know you and that is RARE in a doctor. Another great visit, as always! I had a very pleasant experience with Dr. Torrez. She made me feel comfortable sharing personal medical information and seemed very competent and professional in her expertise. I would definitely recommend her and will be returning to establish myself as a patient here! Dr. Torrez is the best, she asks all the right questions to get to my diagnosis quickly & always gives the best advice. Dr. Torrez has great bedside manner and patiently listens to any complaints you have. She seems to know immediately know what's wrong and puts you at ease that you'll feel better soon. She's fast and efficient. At first it threw me off...like...I saw her for 5...10 minutes only?? Other doctors I'm used to spent a lot of time with me, which makes me feel more...serviced? if that's the word for it. On anothernote, she's never been wrong with her diagnosis and I save time at the doctors. I'll keep coming back, I like her! I just moved to Seattle, and was glad to have found a great doctor so fast! I will absolute be coming to Dr. Torrez for any future doc visits! Dr. Torrez is amazing -- I'm actually looking forward to going to the doctor again in the future, now that I've found her! My visit was wonderful! Dr. Torrez provided me with a wealth of information about my concern. She gave me time to ask questions, and she was extremely professional while still being personable! I've recommended Dr. Torrez to many people over the years because she is kind and truly cares about her patients. I'm so glad that I found her and appreciate everything she does for me. Dr. Torrez has been my doctor for a decade and I can't say enough good things about her and her staff. It's easy to make an appointment, get a call back after leaving a message, and talk to her on the phone about quick questions. Knowledgeable doctor with a great bedside manner. She listens and thoroughly addresses concerns. Highly recommend Dr. Torres. Good explanation of test results and recommended courses of action. No nonsense and to the point. Dr Torres is my Primary Care physician and has been for at least 5 years. She is smart, a good listener, and very compassionate. I love her! She is the greatest! Dr. Torrez is a good listener, and she clearly values that the patient knows her body and her instincts matter. Dr Torrez has an amazing manner with patients. It is like going to see a really smart friend. My wife and I feel lucky to have her as our primary physician. Dr Rachel is the bomb!!!! My annual exam and Pap Smear combined were done in less than 25 minutes. I guess if I was trying to rush these things and didn't really care about thoroughness that would be great, but the reason I get these annualexams is to be thorough and catch things early before they become a real problem. The secretary had her purse in hand and had her coat when she took my paperwork at the end, again giving me the impression these folks just wanted to be done with their workday and didn't really have a basic concern for my health at all. Completely spaced renewing my birth control prescription, which was the one of the original intents of my visit, have called several times and left messages with no one getting back to me and now it looks like I get to schedule yet another Pap smear that I might have to pay out of pocket for nother exam after these folks got payed for the one covered per year under my health insurance. Very disappointed and concerned that they get payed by my insurance for these visits when they did nothing and are not concerned with my health in the least. After years of demeaning treatment and procedure based health care, I was thrilled to have personal, patient based respectful conversation and treatment. I especially appreciate the partnership she creates in responding to my particularhealth care needs so that I am empowered to make the health choices and health care decisions that are right for me. As a lesbian and a big woman I have experienced cruel discrimination and judgement from many health care professionals. This visit was a corrective experience and an invitation to real health care and a doctor that actually wished the best for me. Amazing. It was a good doc visit. This was our second with this family practice doc . She was an active and effective listener. Quick but thorough. Dr. Torrez was very friendly and direct. would 100% recommend. It was just okay. I really wanted a better solution to my problem besides medication. But overall, she seemed to be a real person.